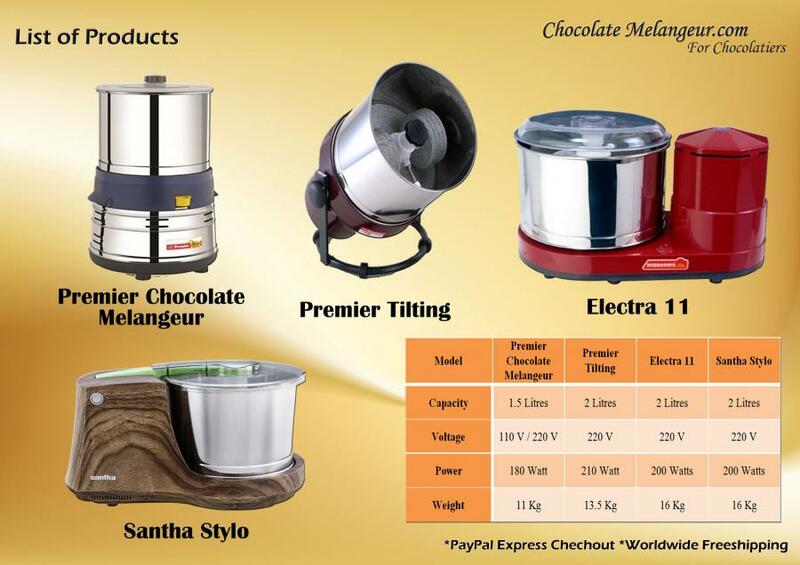 We Cartel e Business, is a holding premium online store Chocolate Melangeur for all your need in chocolate making and nut grinding process, we provide wide range of Chocolate Melangeur from Domestic to Commercial Machine. 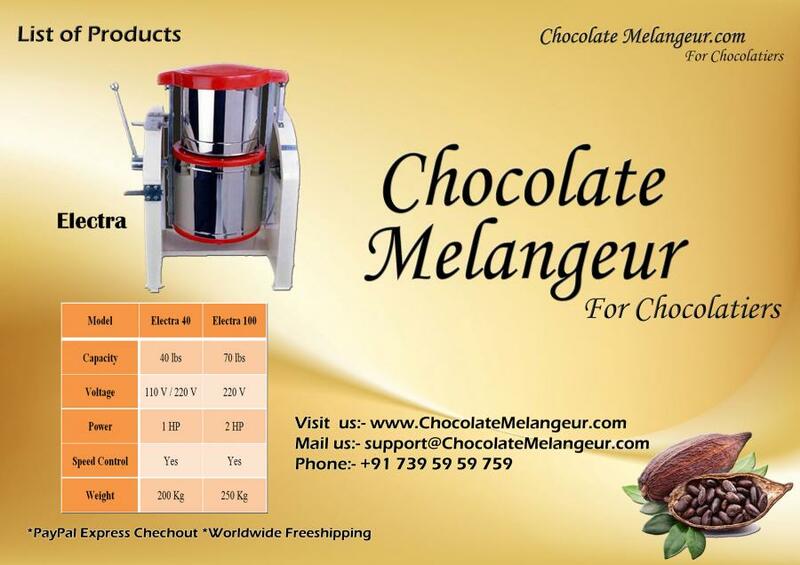 We are supplying Chocolate Melangeur to over 65 countries in and around Asia Pacific counties, Australia & New Zealand, European Country, and American Countries running for past Six years successfully. Over aim is to cover most of all chocolate growing countries worldwide 220 countries. 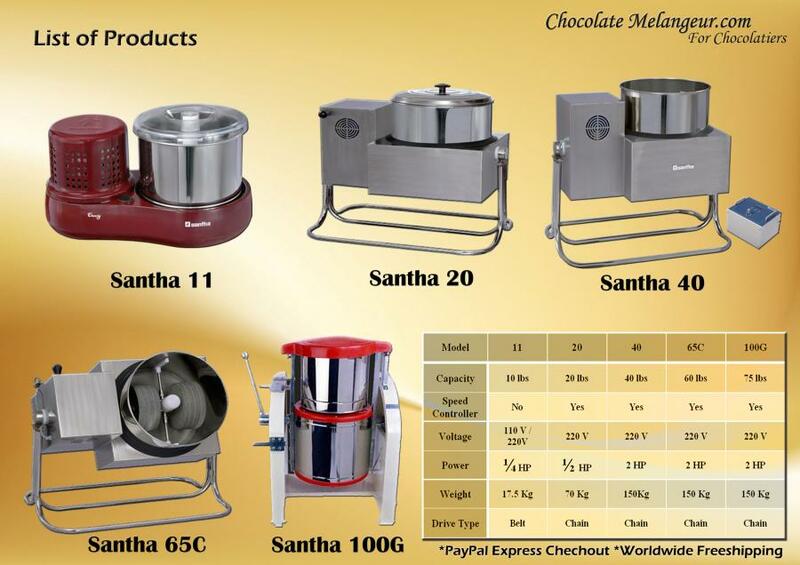 We are having dealership well-known products like Electra, Santha and Premier which are specially designed for Chocolate Grinding and conching process. 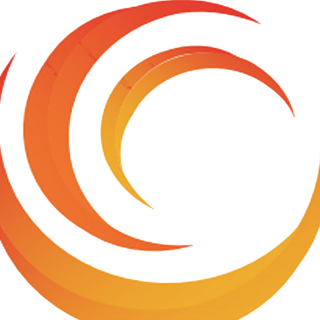 We delivery our range of products with high quality and international standards. All products are good grade material certified and SS 304 stainless body and meet international standards in food processing. We offer free express shipping depends upon your needs; say we deliver at your Doorstep or via nearest Sea Port( commercial machines). We help with home delivery via partner DHL and UPS on most of our products range and possible sea port delivery on big size commercial machines. You can choose during checkout the mode of delivery required. Shop with confidence as our site is 100 % secure and protected with PayPal Payment Gateway. Our primary objective is to ensure Customer satisfaction.